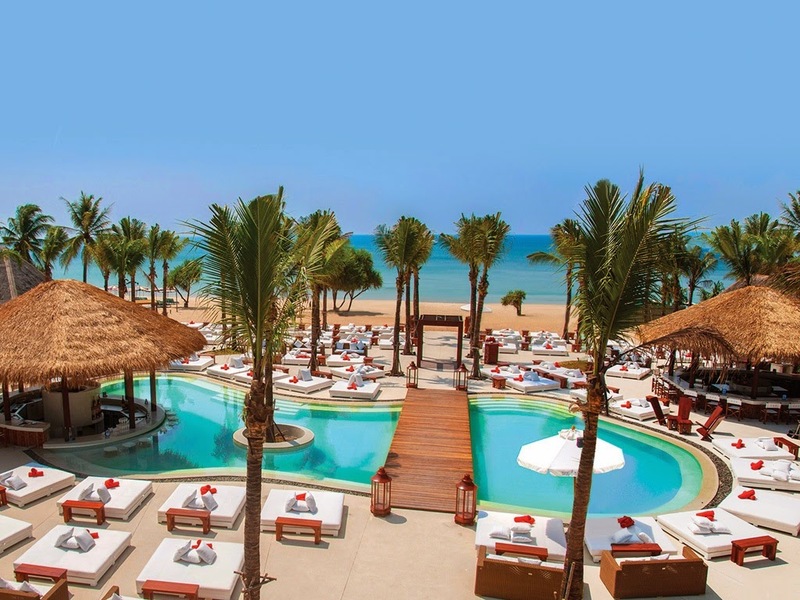 US luxury Beach club brand Nikki Beach will open a new property in Dubai in partnership with Meraas holding in autumn 2015. The Operator was meant to originally launch The Pearl, Nikki Beach Resort & Spa in Qatar in Feb 2012. This announcement comes weeks after the brand had confirmed that it had cancelled plans to open its first property in Middle East on Doha’s The Pearl Qatar. This will be the brand’s first property to open in the Middle East. The $100-million (Dh367 million) 5-star resort will be located on Palm Jumeirah. The Nikki Beach Resort & Spa Dubai will include 400 metres of white sandy beachfront, 61 branded residences, 132 units including 117 rooms and suites, 14 beach villas, one 1,350 sqm 3-bedroom ultimate beach villa, three restaurants, a VIP lounge, Nikki Spa by ESPA, Tone Fitness Centre and the brand's famous Beach Club. The villas will feature private gardens and pools while all hotel rooms & suites will offer stunning views of the Persian Gulf and Dubai cityscape. The resort will also include 61 exclusive branded residences with a mix of 1, 2, 3 and 4 bedroom residences and townhouses and a breathtaking 850 square meters penthouse. Meeras Holding chief hospitality Officer Cherif Hosny commented: “In line with Dubai’s Tourism Vision 2020, Dubai needs to have close to 160,000 hotel rooms to host the targeted numbers of visitors anticipated by the year 2020. With this as a key driver, Meraas is expanding its portfolio in the hospitality industry, developing projects that will not only add to the number of rooms in Dubai but also bring in a new dimension of luxury and experience to the hospitality industry in the country. A New York based architectural firm has unveiled plans for a 1000 room stunning hotel rising out of sea and ready for the 2022 FIFA World Cup. The Silver Pearl Hotel will be developed by Katara Hospitality and will have more than 1000 rooms. 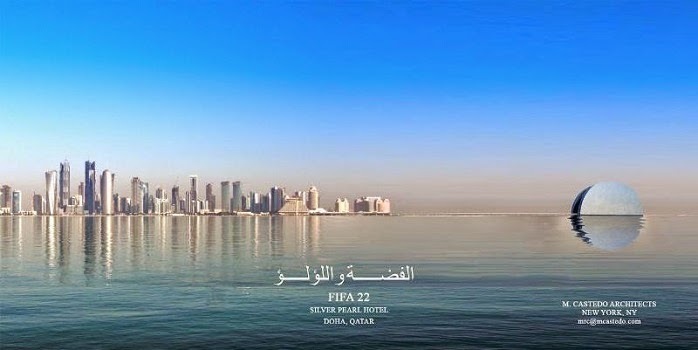 It will be located 1.5 km off the coast of Doha and the project is set to cost $1.6 Billion. The Hotel has been designed by the Architectural firm M Castedo architects and the unique look of the hotel is meant to showcase the culture of seafaring and pearl diving history. The design, still pending approval, will envision a building consisting of two 30-story semicircle towers connected by a vaulted climate controlled atrium over the gardens with an ocean view. All rooms will face outwards onto the ocean with the common areas furnished and decorated in the spirit of Arabian Tradition. A conference and exhibition center will be contained adjacent to the main building, while a recreational roof deck will be located above a multi-storey parking facility. The Silver Pearl Hotel will be one of several “icons” constructed in the country for the upcoming international football tournament. The visitors to the hotel would access the hotel through a four lane elevated causeway, by private yacht or helicopter. The number of hotels planned and under construction in Qatar is growing rapidly as hospitality operators prepare for the spike in demand driven by the World Cup. Official figures show the volume of visitors to the Gulf country is also quickly increasing. The country attracted a record 1.5 million guests in the first half of the year, a 7-percent jump. Qatar’s hospitality industry is currently dominated by high-end, luxury offerings. The country’s hotel room inventory has grown by an average of 13.4 percent annually and reached approximately 13,600 rooms by the middle of the year, according to professional services Deloitte. The Middle East/Africa region has reported 646 Hotels under contract totaling 151579 rooms, according to the October 2014 STR Global Construction Pipeline Report. The report indicates an increase of nine hotels from the September Global Construction Pipeline Report, which reported that 637 hotels were under contract totaling 151,205 rooms. The under contract data includes projects in construction, final planning and planning stages but it doesn’t include projects in the unconfirmed stage. Among the chain scale segments, the upper upper scale segment accounted for the largest portion of rooms under contract (36.4 per cent) with 55,172 rooms. 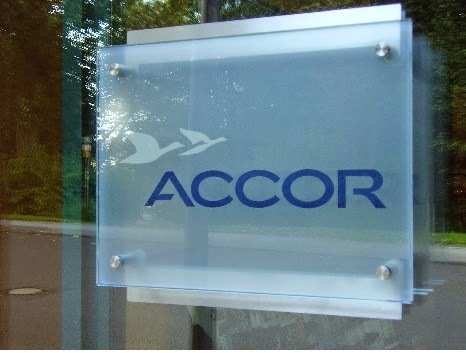 Accor announced the launch of the ‘Leading Digital Hospitality’ plan which will see development of more robust information systems, distribution infrastructure and data gathering capabilities that will create a seamless journey for customers, a more transparent relationship with partners and a more digitally empowered Accor team. The plan also sees the company build on the Arabic language website, with improved mobile applications, an extension of the tailored deal search engine and an expansion of Accor’s loyalty program. Accor’s ‘Welcome project’, which allows guest to check in online, will be implemented throughout all Accor properties in the Middle East by 2015. Currently, this new service has been piloted at the Novotel Al Barsha and Ibis Al Barsha in Dubai since July 2014. Digital technology is a challenge for all the industries, especially the hospitality industry. To overcome this challenge Accor is launching globally a transformational strategy to enhance the digital experience of all stakeholders. The integrated digital plan includes customer-focused programs that aim to improve the knowledge of the customers, and the services provided. They will enable Accor to increase its customer base and develop further loyalty. 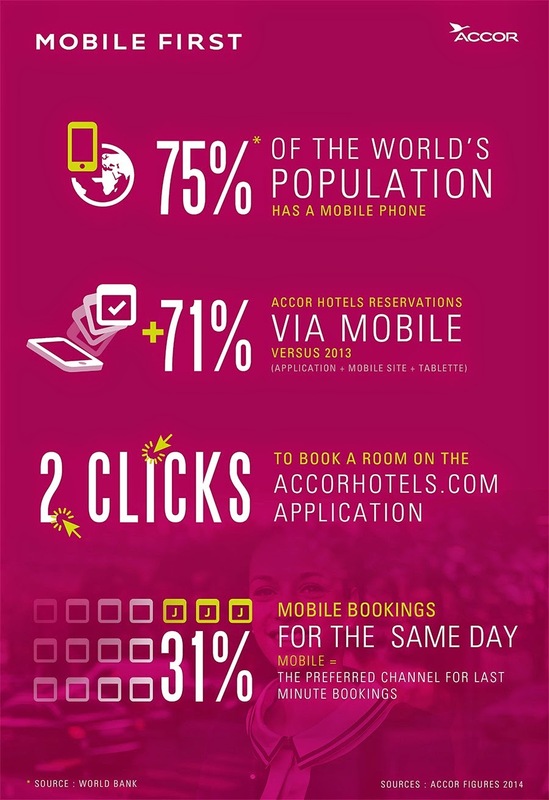 Mobile first: It takes into account the customers migration to mobile devices, such as smart phones, tablets by rolling out a single mobile application incorporating all of Accor’s services before during and after hotel stays. Customer centric: will develop and make optimum use of the customer database to ensure personalized follow up and services on a single platform known as voice of the guest. Seamless Journey: will ensure convenience for customers at every stage of their experience, with electronic payment solutions, one click booking, online check in and the Le Club Accor hotels virtual card. Mice & BtoB: will develop innovative digital solutions for businesses, such as online booking of seminar facilities, and will increasingly incorporate BtoB services in the global booking website, accorhotels.com. Employee Friendly: Aims to simplify tasks using tablets and smart phones, develop online training solutions and encourage experience sharing via “AccorLive” – the in-house social network. Owner and Franchise Centric: aims to make Accor the most efficient and transparent partner, notably by offering comprehensive dynamic pricing and revenue management solutions, a dedicated portal to access personalized information and services and an optimized billing process, starting in 2015. Infrastructure transformation: optimizing systems to speed up the roll-out of new and keep pace with rising transaction volumes. Business Intelligence and Analytics: ensure that decisions are increasingly made on analysis of large volumes of data collected in hotels. Accor will dedicate additional resources to innovation, through open innovation platforms and tactical acquisitions that strengthen its expertise and technology. The Group also announced its acquisition of French start-up Wipolo, a cutting-edge travel software company that offers mobile and web itinerary management services. Accor HotelServices Middle East, one of the world's leading hospitality groups, announced its intention to double the size of its operations in the Middle East to over 30,000 rooms by 2020. Sébastien Bazin, The Group's Chairman and Chief Executive Officer revealed the ambitious new target as the company celebrated reaching the major milestone of 100 hotels in operation (16,000 rooms) and approximately 9,000 rooms under development in the Middle East. 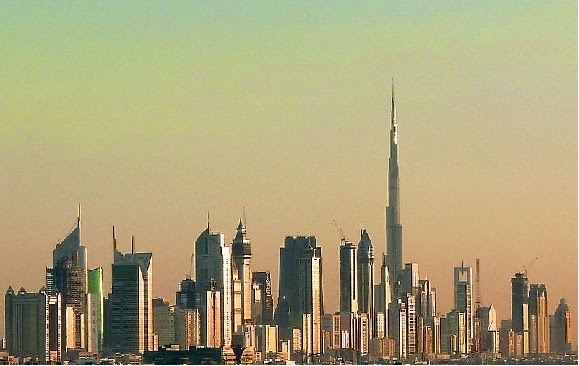 “Our commitment to double in size by 2020 is a bold statement of our confidence in the future of the region, the support of our partners who work closely with our experienced and localized teams here in our three offices in Dubai, Jeddah and Cairo, and the strength of our portfolio of brands that continue to deliver operational excellence and compelling returns." He also explained the growth potential in the region by pointing out that there are on average only two rooms per 1000 inhabitants in the Middle East, compared to 10 and above in more matured markets. Accor is seeing a rising demand for development of hotels across all segments, from luxury to economy, and that is why they have launched three new brands in the region, including Adagio serviced apartments, Majlis Grand Mercure and ibis Styles. 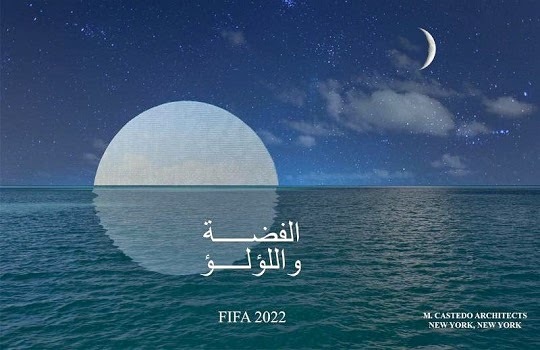 Bazin also mentioned that they expect the growth to increase with improvement in infrastructure and delivery of key events in the region, Dubai’s Vision 2020 and 2022 FIFA World Cup in Qatar and Saudi Arabia’s target to attract 20 million visitors to holy cities of Makkah and Madinah. Starwood Hotels has announced the introduction of SPG Keyless, the hospitality industry’s first mobile keyless entry system allowing guests to use their Smartphone as a key. SPG Keyless is part of the award winning loyalty program, Starwood Preferred Guest, from Starwood Hotels & Resorts Worldwide and is being rolled out to Aloft, Element and W Hotels around the globe. SPG Keyless will go live on November 5th in 10 markets. W Doha will be among the first ten hotels in the world to offer the service. Starwood expects SPG Keyless to be available at 150 hotels by early 2015. SPG Keyless is a groundbreaking turning point in the traditional hotel experience, redefining the age-old way guests arrive and check-in to their rooms. SPG Keyless – powered by the SPG app – enables guests to bypass the front desk (where available), go directly to their room and unlock their stay with a simple tap of their Smartphone. SPG Keyless is available to SPG members who book a hotel room through one of Starwood’s channels SPG.com, the SPG app or customer contact centers. SPG Members must register their phone once through the SPG App and allow push notifications. After booking a reservation at a keyless hotel and approximately 24 hours before arrival, SPG members are invited to opt-in to SPG Keyless. Guests will receive a push notification noting that they are checked in and the SPG App will update with the room number and Bluetooth key when the room is ready. Upon arrival at the hotel, the guest can completely bypass the front desk (where available) and go directly to the room. After ensuring the Bluetooth is enabled, the guest simply opens the SPG App, holds the Smartphone to the door lock, waits for the solid green light and enters the room. SPG Keyless is an evolution of Starwood Smart check-in, another industry first that debuted at aloft hotels in 2011. 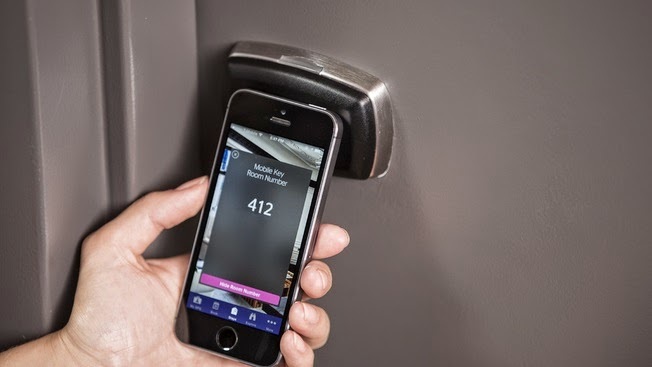 Building on this technology, Starwood worked with the world’s largest lock manufacturer, Assa Abloy, to create an all-new, Bluetooth-enabled lock as well as key-less software, which are designed to securely recognize and connect with a guest’s mobile device. Rotana, the Middle East’s leading hotel brand said that it plans to add 3,360 rooms to its portfolio, creating more than 10,000 jobs over the next five years. The Company has released details of it 12 new properties some of which are due to open before the end of 2014. Omer Kaddouri, president and CEO, highlighted that the company’s construction pipeline focuses on countries outside its traditional market, including countries like Jordan, Turkey and Bahrain. Rotana, which has a vision of operating 100 hotels by 2020, said that the new properties will also create a significant amount of employment opportunities with plans to hire approx 10500 new staff in the next five years. Omer Kaddouri mentioned that, openings in Jordan and Turkey represent a key milestone for Rotana Hotels and important achievement for the group. The development pipeline includes new properties in Amman, Jordan, Qatar, Bahrain, Istanbul, Turkey, Abu Dhabi and Saudi Arabia. Boulevard Arjaan by Rotana, Amman, Jordan, will feature 391 suites. Sedra Residences by Rotana, Qatar, will offer 250 rooms and suites. ART Rotana, Bahrain, will boast 311 luxurious rooms and suites. Banader Rotana, Bahrain will offer 251 rooms. Burgu Arjaan by Rotana, Istanbul, Turkey will have a total 0f 222 hotel apartments. Tango Arjaan by Rotana, Istanbul, Turkey will offer 188 hotel apartments. City Centre Rotana, Doha, Qatar will include 287 rooms. Centro Doha, Qatar will be complete with 229 rooms. Capital Centre Arjaan by Rotana, Abu Dhabi will feature 259 studio rooms and suites. Rosh Reyhaan by Rotana, Saudi Arabia will be complete with 236 modern rooms. Capital Centre Rotana, Abu Dhabi, with 315 luxurious rooms. Amman Rotana, Jordan will feature 412 contemporary rooms and suites.